Jolly LLB 2 Movie Review Rating: The latest Bollywood movie Jolly LLB 2 starring Akshay Kumar in the lead role has been released worldwide on Friday (February 10, 2017). With its release on the global box office, it has started garnering mixed reviews from the critics. Subhash Kapoor has directed the JollyLLB 2 film which is a comedy courtroom drama. The story revolves around a fresh lawyer named Jagdishwar Mishra portrayed by Akshay Kumar. He fights a case against a ruthless and powerful lawyer Sachin Mathur (played by Annu Kapoor). This film is the sequel to the 2013 release Joly LLB which starred Arshad Warsi. Almost all the moviegoers seemed to be satisfied what the film is offering them. Critics are praising the star cast performances especially Akshay who is in the lead role with Huma Qureshi. 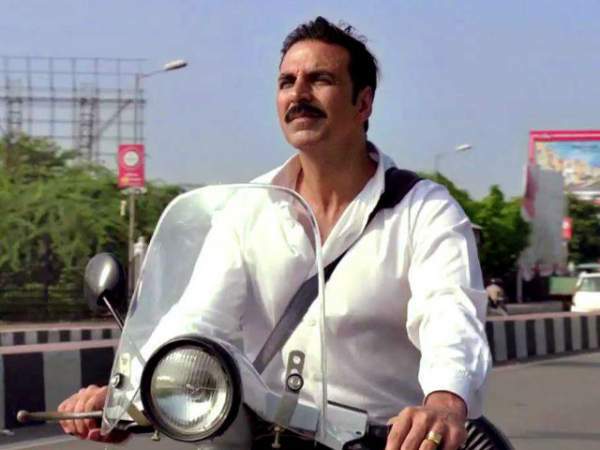 Check: Jolly LLB 2 1st day box office collection. Like many Bollywood movies, Joly LLB 2 also faced some cuts and backlash by the censor board. But, this time, courts also imposed four cuts as those scenes were making fun of Indian legal system. Only after the cuts, the film was passed and thus released today. The movie created a huge hype and buzz because of its star cast and songs. Below are the reviews of Joly LLB 2 by several critics like Taran Adarsh, Rajeev Masand, Anupama Chopra, Komal Nahata, and others. Have a look at their opinions too regarding the Jolly LLB 2 movie review. Jolly LLB’s sharp dialogue and a strong cast is what makes this film a stunner. Not a dull single dull moment here. Akshay Kumar fans and Joly LLB fans both will be satisfied with this film that has a mix of comedy, emotion and some serious commentary on judiciary system.JollyLLB 2 is entertaining as well as hard hitting. Saurabh Shukla is a stunner while Akshay is once again at his best. A 3/5 for this film. Powerful writing+dialogue. Commendable performances. Skilful direction… #JollyLLB2 is a THOROUGH ENTERTAINER. Amongst akshay kumar’s best! Akshay Kumar’s winning streak will continue with #JollyLLB2… Extremely positive reports pouring in… Should hit the bull’s eye! Subhash Kapoor’s screenplay is intelligent. The best part of his screenplay is that it doesn’t let go of the humour till the very end. The light scenes in the courtroom are so funny that they make the courtroom drama entertaining and enjoyable. On the whole, Jolly LL.B 2 is an enjoyable entertainer which will definitely do well at the box-office and will keep the audience and the investors happy. Don’t forget to share your Jolly LLB 2 movie review. Stay tuned for more updates.